With every passing day, a new revelation of the mind-blowingly massive corruption within the administration of Barack Hussein surfaces. If anyone else had committed the crimes that Obama and his henchmen and pals have committed, and I am just referring to those which are now public knowledge, they would go to prison and likely never see the outside of a cage again. Hussein’s scandal du jour involves a “smash and grab” scheme practiced by Obama and his pals. Here is how the scheme worked…. Obama would publicly announce his intentions to implement such and such a regulation knowing that if implemented, it would cripple or close Business XYZ. Business XYZ’s stock would tank, devaluing the company by as much as 97%. Obama’s pals would rush in and buy the company for pennies on the dollar. Obama would announce publicly that he had reconsidered and was abandoning the regulation. Business XYZ’s stock would instantly skyrocket, making Obama’s pals many millions of dollars. A nice, fat cut of the profit would find its way to the Obama Foundation. Imagine that! In the real world, you know, the one outside the Washington beltway, that scheme is called insider trading, and it is punishable by up to 20 years in prison and millions of dollars in punitive fines. Criminal Penalties. The maximum prison sentence for an insider trading violation is now 20 years. The maximum criminal fine for individuals is now $5,000,000, and the maximum fine for non-natural persons (such as an entity whose securities are publicly traded) is now $25,000,000. This wasn’t the only “get-rich-quick” scheme practiced by Hussein and his cronies. There were other nefarious schemes that enriched the likes of Mitch McConnell to the tune of many millions of dollars, as well as Joe Biden’s son, Hunter, who scored a $1.5 billion deal with the Chinese. Peter Schweizer is President of the Government Accountability Institute. He is also a bestselling author who discussed his latest book, Secret Empires: How the American Political Class Hides Corruption and Enriches Family and Friends during Monday’s edition of SiriusXM’s Breitbart News Tonight (audio, below). Schweizer described the scheme of how Obama and his close friend, Martin Nesbitt, would capitalize on Obama’s announced intentions to implement executive order regulation. Schweizer: This one was really surprising because, I have to say, I did not think of Barack Obama as somebody who was necessarily involved in financial corruption. I mean, there are all these controversies or certain issues about his policies, but Barack Obama has this best friend that few people have ever heard of, a guy named Marty Nesbitt. When Barack Obama is reelected in 2012, his best friend in the world, Marty Nesbitt, sets up this private equity fund called Vistria, and Vistria says in its corporate documents, explicitly, that it is designed to invest in highly regulated industries, and when your best friend is the regulator-in-chief, I guess that makes sense, and what happens is, they make a series of investments or deals based on companies or industries that are being smashed by the Obama administration’s regulations. As one example of Obama’s “smash and grab” scheme, Schweizer described how Nesbitt’s private equity firm, Vistria Group, acquired the University of Phoenix…. Schweizer: So to give you one brief example, [the] University of Phoenix, it’s a for-profit school — a lot of people have heard of it — the Obama administration declares that the company is not serving students well, and they say, ‘We are going to suspend GI dollars from the Pentagon for soldiers to study at the University of Phoenix. Well, you can imagine, this for-profit university, its stock price goes from like a hundred dollars a share down to three dollars a share overnight. So what happens? Marty Nesbitt, Barack Obama’s best friend, says, “Hey! We’ll step in and buy it. We’ll step in and buy the company.” They do. They basically buy it for three cents on the dollar, and then, lo and behold, imagine what happens next. The Obama administration decides that, ‘No, we are going to allow GI dollars flow to the University of Phoenix,’ thereby boosting the valuation of the company again. Nesbitt wasn’t the only beneficiary of Obama’s criminal scheme. 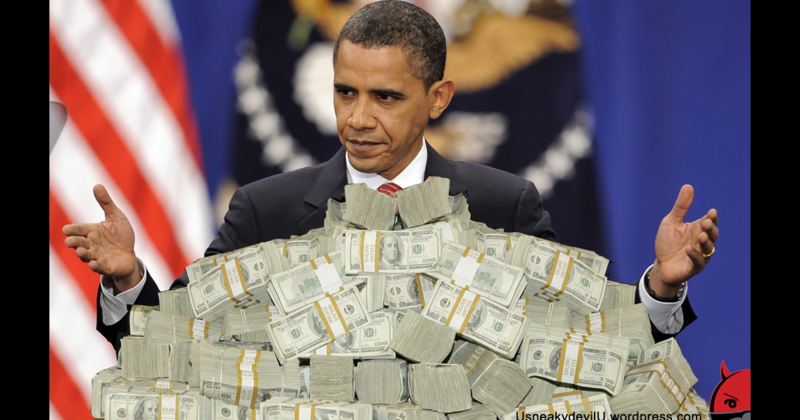 Billionaires George Soros and Tom Steyer also enjoyed great fortune from the Obama quid pro quo largesse. Schweizer: This pattern is repeated over and over and over again, not just with Marty Nesbitt, but with people like the environmentalist investor Tom Steyer [and] George Soros. Barack Obama smashes coal companies, [and] what do these guys do? They go in, they buy them for pennies on the dollar, and when the regulatory weight is lifted, their valuations increase, and they make a lot of money, and you see that pattern in all of these industries. So what you see is these crusades that Obama is going on related to companies that are supposedly doing all these evil things really has this profit or money-making component to it that I was unaware of, and a lot of other people were unaware of. Now, in a sense, the favor gets returned because Marty Nesbitt is now the chairman of the Obama Foundation and is pouring money into that institution and is responsible for raising it so Barack Obama’s legacy can be applauded in Chicago. I can only imagine the suffering of the thousands of people who lost investments, jobs, homes, families, all so that Barack Hussein and his pals could get even richer. If any of Schweizer’s claims are documented and provable, then this could be the scandal that finally puts Barack Hussein away. If he gets away with this, there simply is no justice in America. If you would like to cut to the chase and listen to the dialogue specific to the “smash and grab” scheme, it begins at the 14:30 mark.